Welcome to my new #InstaWithEllen series, where I’ll be writing posts on all the ways you can step up your Instagram game. 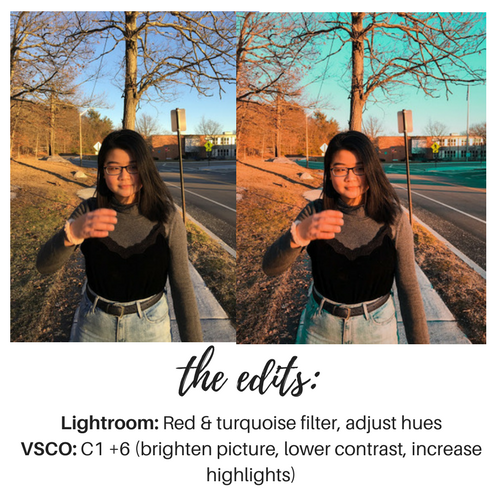 Whether it’s photo editing, how to maintain a themed feed, or growing your followers, I gotchuu. 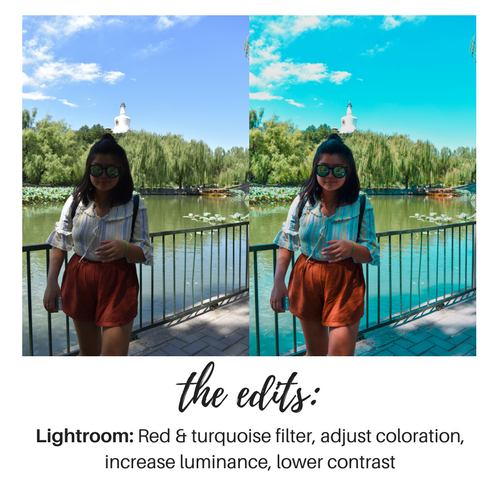 If you follow me on Instagram (which, if you aren’t already, you totally should 😉), you probably notice how I love really brighter and colorful pictures, which means I always up the brightness, lower contrast, play around with temperature (warmer/cooler tones) and increase saturation! It’s honestly insane how easy you can change the entire vibe of a picture with just a few adjustments. Color is super important, especially when it comes to how you want the picture to be percieved. Ask yourself: What’s the mood of the pic? What’s important in the picture? At the end of the day, everyone edits their pictures differently. Some people might not edit their picture at all (#NoFilterLife) and you know what? That’s fine. Pictures are meant to capture a moment and seal it in time forever. The reason why I love editing so much is that it allows me to enhance those moments. That’s it for now! 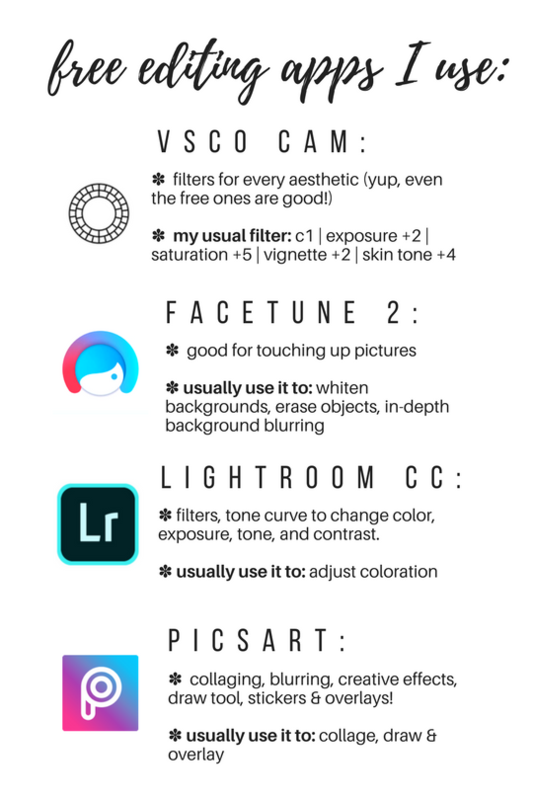 Hopefully, you enjoyed learning about my favorite apps/know more on how I edit. Like I said earlier, I will be doing an Instagram series on my blog, so stay tuned! In the meantime, follow me on the ‘gram and leave some love on my profile. Love VSCO, kinda of tempted to buy the bundle. This was helpful, my Instagram is a lot more tumblr than it was before. I ENJOY YOUR BLOGGGGGGG!!!! I love lightroom for editing! 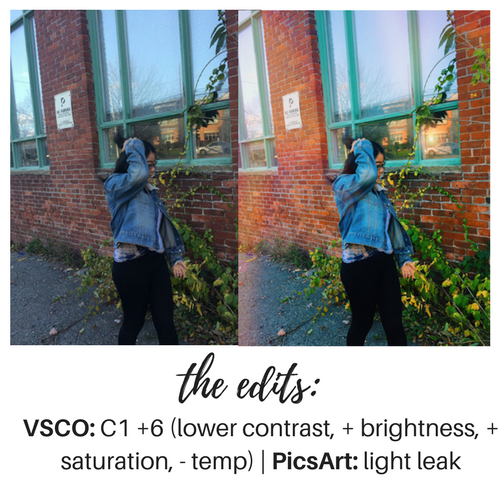 VSCO is good too, but color grading really is a game changer! I know, right? Color grading is the best thing I’ve ever discovered.